When Alexander Wang releases eyewear, we generally perk up. The combination of wearable street designs and all out optical art pieces, make the Wang eyewear catalog a true pleasure to peruse. 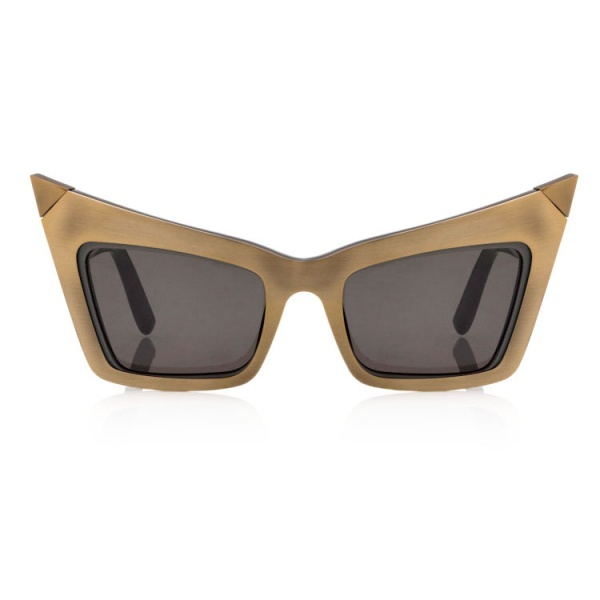 Obviously these 1C5 Pointer Sunglasses are leaning more towards the avant garde. However like so many things we’ve featured this month, the summer is about having fun and getting crazy. 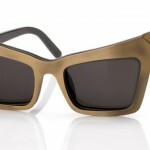 For us nothing says ‘good times’ like a designer pair of glam-punk shades. 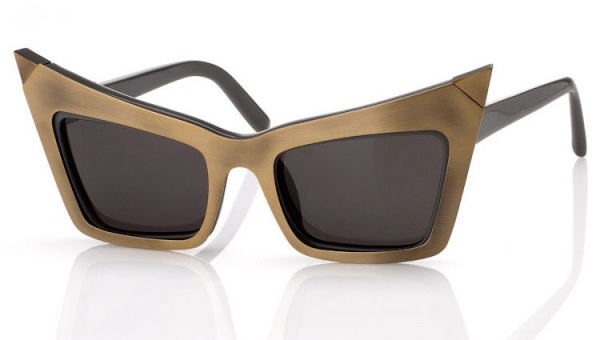 the 1C5 Pointers feature tarnished brass corners and dark grey tinted lenses. 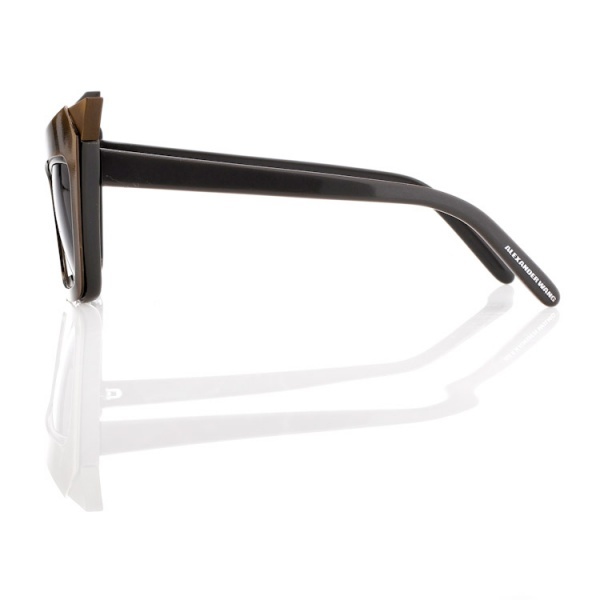 These sunglasses offer 100% UV protection and come with an Alexander Wang case and cleaning cloth. Perfect for music festivals and family reunions. Available online. This entry was posted in Collections, Sunglasses and tagged Alexander Wang, Pointer Sunglasses, UV. Bookmark the permalink.